When it comes to laptops, everybody knows all about the higher spec models. Sure, if you have the budget, you should go and get the best thing money can buy. However, for many people, including students or most people working in an office, a decent midrange is all you need. With the Vostro 14 5000 series, Dell has looked to address that crowd. The laptop prices are indicated Ex VAT meaning Dell clearly want to target this towards the business clients. The range starts at £389, packs in decent specs and ports, and is light and portable. A whole lot of ticks for your Average Joe businessman. Just because you pay less than £400 for a device doesn’t mean it should look it. 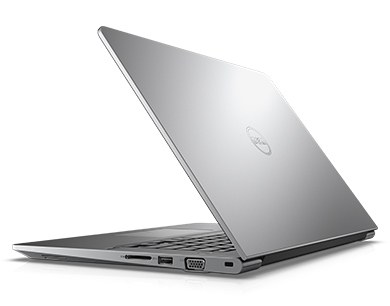 Dell have embraced the device in a slick metal finish. There is an LED right at front, which indicates charge status. The back has no ports, and is simply the hinge for the laptop. The bottom holds an integrated battery, meaning that you can’t just clip it out if need be. You will need to take the whole suite of screws out to remove the back cover. However, as luck would have it, this is a rather rare need for most laptops now. In terms of ports, the right side has a Kensington Security port, a VGA port, a USB 3 port and an SD Card reader. The left side hosts the AC Power input, an Ethernet port, HDMI and a couple of more USB 3 ports. There is also a headphone socket. At 1.66kg, this is fairly portable and sleek. With a pretty good set of specs, this is pretty much aimed at the average user. The features make it ideal for either a student or a businessman. The fact that it has both a VGA port and an HDMI make it handy for travelling and giving presentations. An ethernet port also makes it easier to network in areas with no WiFi. In terms of usage, if you have the SSD Hard drive, you will find the boot times and the performance to reasonably snappy when it comes to office work or browsing. Low-level games should be fine too. On a traditional old fashioned hard drive, there may be bit more of a lag, but not too much. In terms of display, it was pretty noticeable that the device doesn’t come with a full HD screen. While this is fine for most usage, you may find it an issue if you’re into watching films or used to extra wide websites. The display was fine in terms of colour and brightness though. Battery life is another highlight for this device. It worked for around 8-10 hours in our off/on usage. 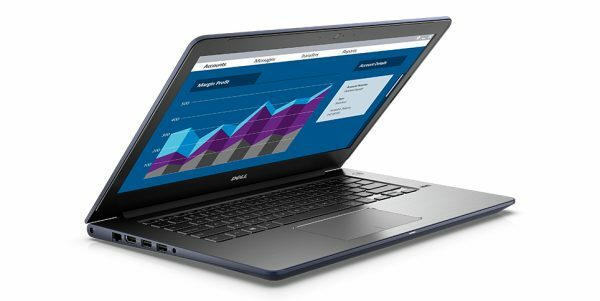 More information on the Dell Vostro 14 5468can be found on the Dell website. It can be bought directly from the website, and it starts at £389 (pre VAT). For a bit more, you can get a better processor and a better hard drive. You can grab one via Amazon too, though the prices are a bit steep there! This is because Dell are running a 35% off list price offer as of now! Sometimes not a lot to say is a great thing. The Dell Vostro device is one such device. Cheap, cheerful and functional, it ticks all the boxes. Previous story Engie: Get to know what goes inside your car! Next story LG G6 – the one true competitor to the Galaxy S8?